Transportation is often a means to an end — a way to access goods, services, or opportunities — and is inextricably linked with the built environment and quality of life. The Transportation & Communities program examines transit-oriented communities, transportation and urban design, linkages between mobility and gentrification, active transportation, pedestrian and bicycle planning, complete streets, and livable streets. 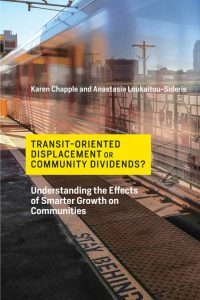 New book co-authored by Anastasia Loukaitou-Sideris takes a novel and critical look at the effects of compact development around urban transit systems. One of the most enduring ideas in urban planning is that compact cities make people drive less. This proposition is intuitive — people in cities such as San Francisco do drive less than people in ­places such as Jacksonville — but it is also difficult to prove. The literature around travel and built environment yields weak and sometimes contradictory results. Is it time to turn the approach on its head? Cities often require developers to widen streets or make other transportation improvements to account for the traffic impacts of new building. But parcel-level traffic mitigation often becomes an exercise not in reducing traffic but in ensuring that developers carry out mitigations, regardless of whether those mitigations are effective. Is automatic street widening accurate, verifiable, or effective? While downtowns were thought to be in long-term decline 40 years ago, central business districts are today the most vibrant residential and commercial centers throughout largely suburban North America. What role has transportation technology and policy played in the earlier decline and recent revival of American downtowns? 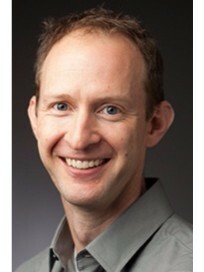 And what challenges does transportation pose to the continuation of urban regeneration? Bicycle Crash Risk: How Does It Vary, and Why?